Did you know that Newark resident Seth Boyden was responsible for perfecting the process for making patent leather? 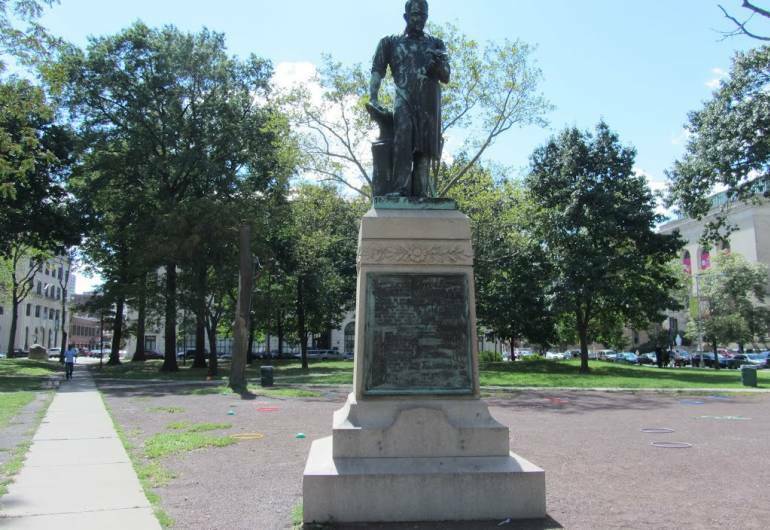 He was also credited for creating malleable iron, invented a nail-making machine, and built his own steamboat and figured out how to produce zinc from ore. Newark celebrated his accomplishments, erecting a sculpture to him in Washington Park, "the only one in the world erected to a blacksmith". 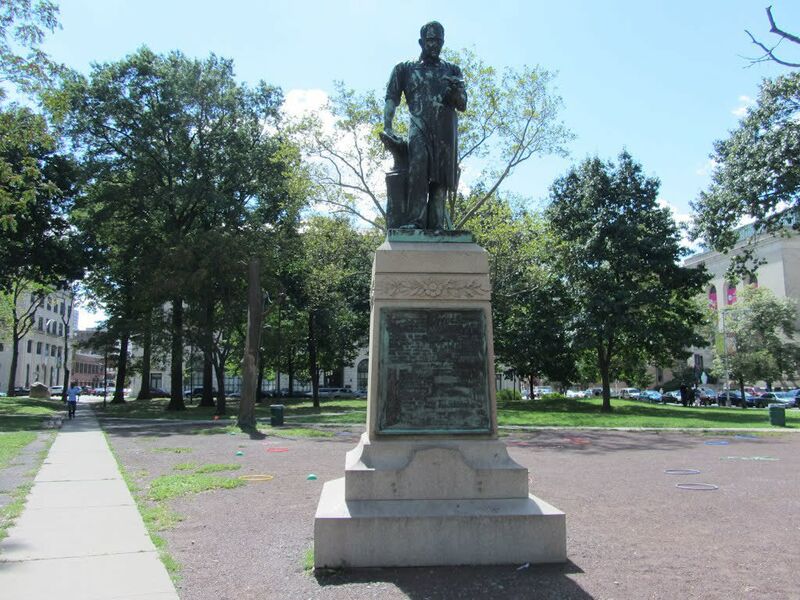 This sculpture was unveiled on May 15, 1890.